Kateri is from Isleta Pueblo and Zuni Pueblo. She has a BA in Journalism & Political Science and is currently a candidate for an MA in Studies of Law with a concentration in Indian Law at UNM School of Law. 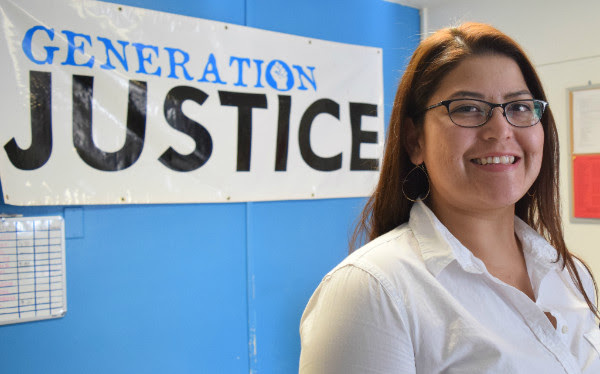 Kateri brings 10+ years of coordinating, logistics, and a strong racial justice analysis. Kateri manages all communication with 30+ youth and their parents along with scheduling training, media productions, and events. Kateri serves as the multi-media producer for all of GJ’s productions and is a 2018/2019 New Economies Coalition Climate Reporting Fellow.